Wednesday, April 18, 2018 — Estelí, Nicaragua– Joya de Nicaragua and Drew Estate are celebrating the 50th Anniversary of the Tobacconists’ Association of America, Ltd (TAA), and 10 years of distribution partnership by introducing the Antaño Gran Reserva Presidente, exclusively for TAA. Five decades ago, two great institutions in the cigar world began operations. The Tobacconist Association of America (TAA), and also, Fábrica de Tabacos Joya de Nicaragua. TAA is a group of selected tobacco retailers and specialists in the US and JDN is Nicaragua’s first cigar factory in operation, and the referent of what it means to be the most Nicaraguan cigar.The Antaño Gran Reserva Presidente is Dr. Alejandro Martínez Cuenca’s favorite vitola. 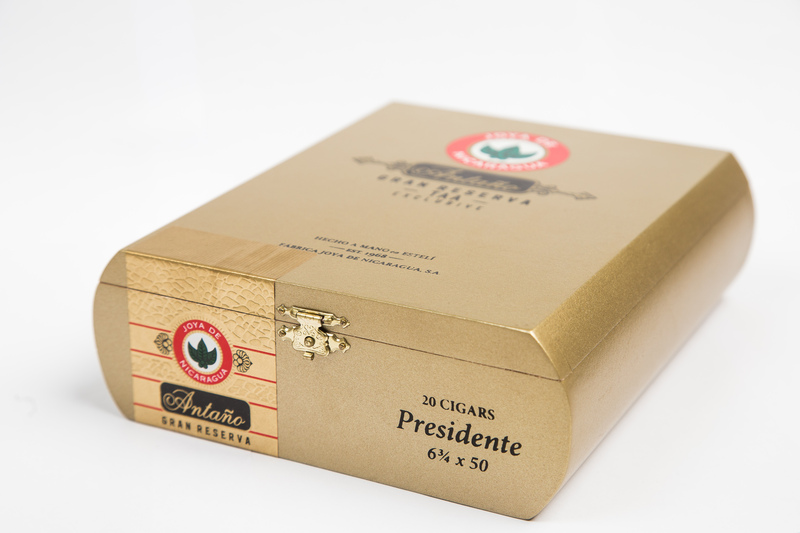 The Presidente, is an elegant 6 3/4 x 50 box pressed cigar, an extension of the Antaño Gran Reserva. 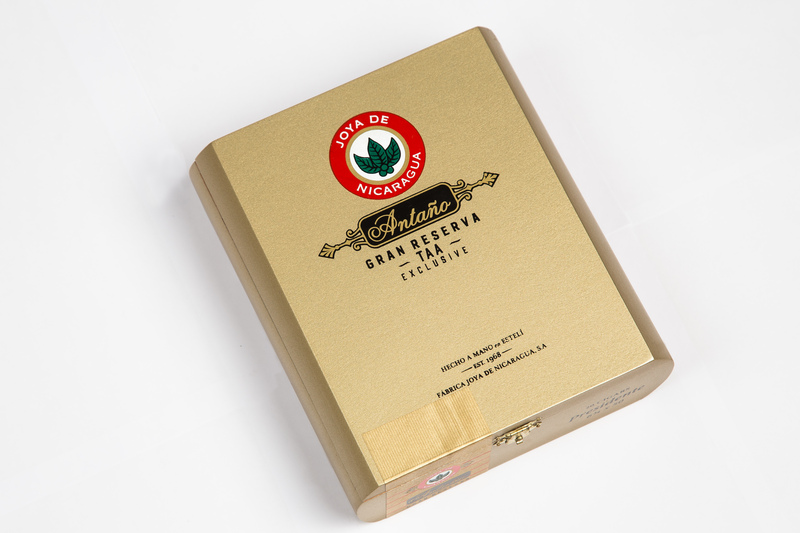 It uses 100% Nicaraguan tobacco matured to perfection for 5 years. It’s a full body and complex cigar similar to the Antano line, but due to the age of the proprietary filler leaves it’s a much smoother smoke. It showcases the unique character of Nicaraguan tobacco with refined notes of spice, leather, and wood. The brand was originally launched in 2005 as a limited edition. It was reintroduced to the market in 2017. “When I requested the Gran Reserva blend in the Presidente size, it immediately became my private smoke. This is by far my personal vitola and the one that I request the factory for my daily smokes. Chris Stone, Business Unit Manager. 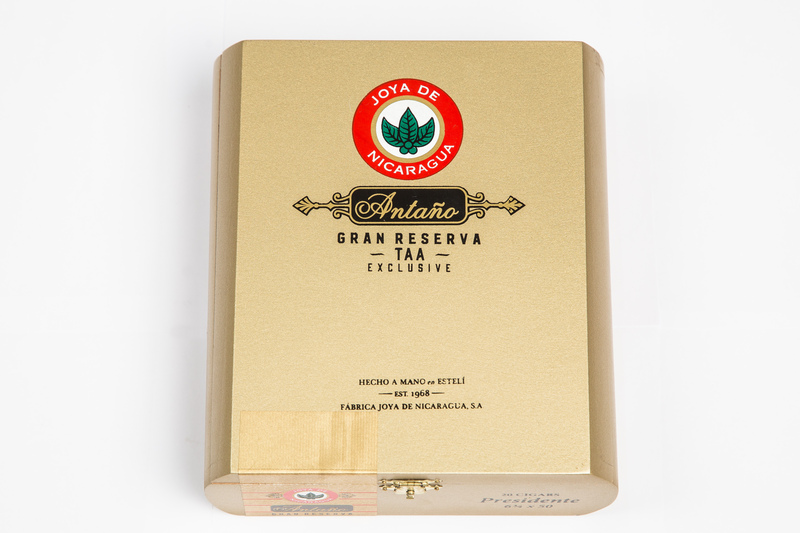 The Antaño Gran Reserva Presidente will be available exclusively for TAA Members and it will retail at US$12.50 per stick. In addition to the Presidente, the company will also be releasing in three additional vitolas each of which will come packaged in 20-count boxes.These will begin shipping in May 2018. 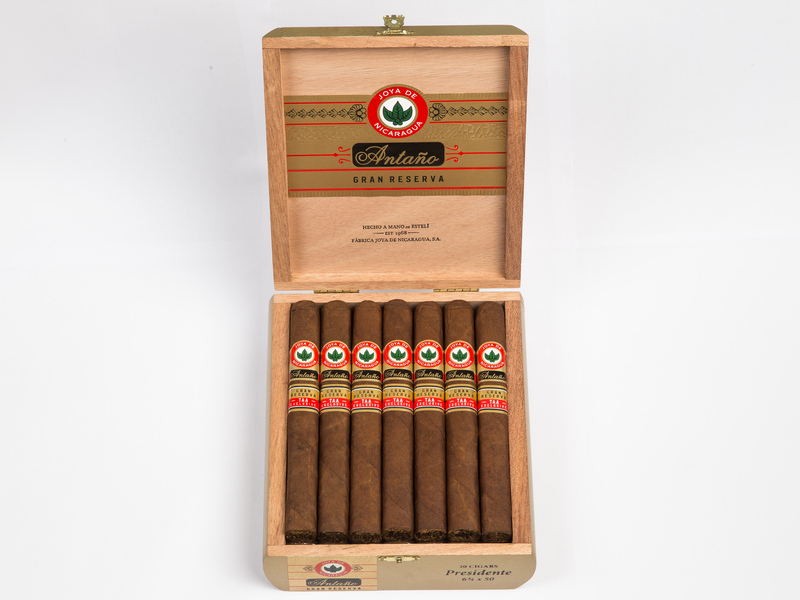 This special edition stick is part of Joya de Nicaragua’s 50th-anniversary celebration. Joya’s consumers all over the world are encouraged to join the celebration online by tagging their smoking experience with #KeepDaring #JOYA50 on social media and the Drew Diplomat App. JOYA DE NICARAGUA S.A. is a family owned, Nicaragua-based cigar factory that handcrafts traditional cigars for the premium luxury cigar market. Founded in 1968, it is Nicaragua’s oldest cigar factory in operation and home to the legendary JOYA DE NICARAGUA® brand of cigars. JDN is regarded by many as the patriarch creator of robust, unique puro blends of locally grown black tobaccos, and its cigars are sold in over 50 countries around the world. For more information, please visit www.joyacigars.com. 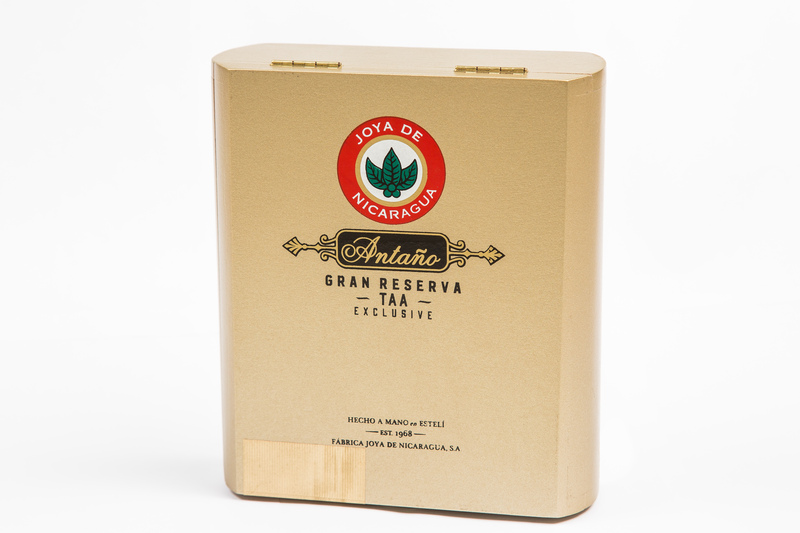 This entry was posted in Cigar News, Drew Estate, Joya de Nicaragua and tagged Antaño Gran Reserva Presidente, cigar news, Drew Estate, Joya de Nicaragua, Tobacconist Association of America (TAA). Bookmark the permalink.